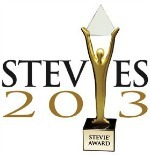 Tuesday, January 15 is the final entry deadline for the 2013 (7th annual) Stevie® Awards for Sales & Customer Service, the world's top business awards for contact center, customer service, business development, and sales professionals. Information generally required for 2013 entries include an essay of up to 525 words describing the nominee’s achievements during the eligibility period; links to any online materials that support the nomination; and a brief (125 word) biography of the nominee. 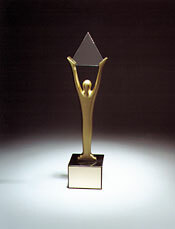 To make the most out of your entries, we suggest downloading our 5 Tips for Winning Sales Awards in the 2013 Stevie® Awards tipsheet, reviewing past winners' entries, and watching our short video, How to Enter the 2013 Stevie® Awards for Sales & Customer Service.